Do you have a passion to write but don’t know where to start? Have a half-written book somewhere on your hard drive you can’t seem to finish? Trying to break into magazines and syndicated writing? Need some inspiration and revelation? Impartation and activation? Get personal prophetic writing instruction, activation and coaching from best-selling author and Charisma magazine editor Jennifer LeClaire. There’s also a private FB group where students can interact and Jennifer can come in and offer EXTRA BONUS thoughts, tips, feedback on your writing, encouragement and prayers along the way. 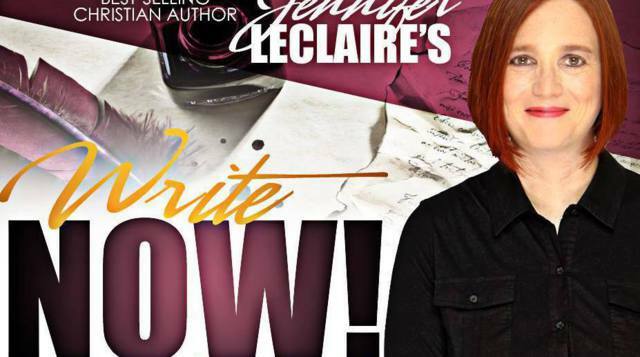 Jennifer LeClaire is flooded with inquiries to teach what she knows about writing books and magazine articles. Jennifer has written over 25 books and has appeared on television shows from Sid Roth’s It’s Supernatural to TBN. Before entering the Christian market, she wrote for secular outlets such as the Associated Press and the New York Times. The Lord has put it on Jennifer’s heart to teach you how to write and get published through practical workshops, impartation and activation and clear advice on getting your foot in the publishing world’s door. Jennifer will be praying over you and your writing. Jennifer has a proven anointing to write with clarity and to teach others who to press into this prophetic expression with truths, tools and writer’s tricks it would take you decades to learn on your own. Her articles reach millions of people each week and her books have been translated into multiple languages.